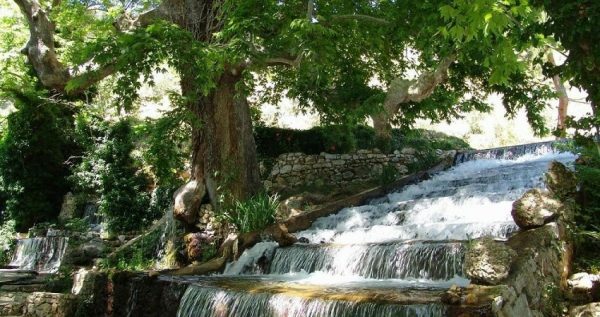 If you have opted to spend your precious vacation in the charming town of Sarigerme, and you want to learn more about our gorgeous country and its colorful past, than we have just the offer for you. Our Sarigerme Saklikent Tour is a unique learning experience and a delight for the outdoorsy types among you. 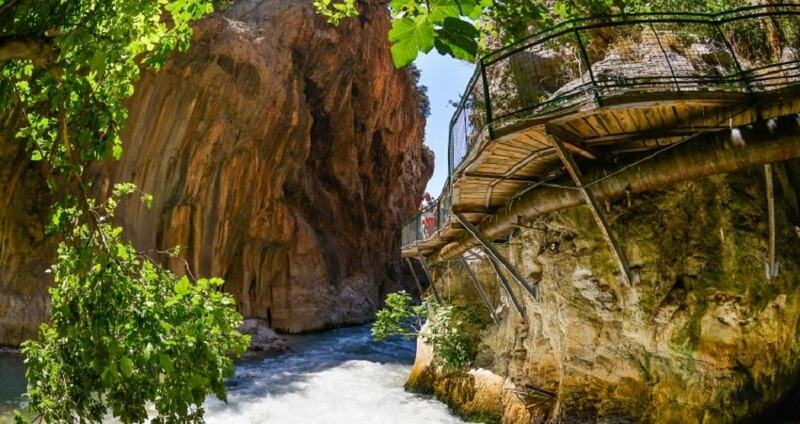 Sarigerme Saklikent Tour starts with a complementary drive from your hotel in Sarigerme to mountain road of Fethiye. Our destination is the Saklikent Gorge, the second longest of its kind in Europe. During our exciting journey we will get to see and visit several miraculous sites. One of the first is the Lycian city of Tlos. This great city is approximately 4000 years old and it was built by the ancient Anatolian people, Hittites. 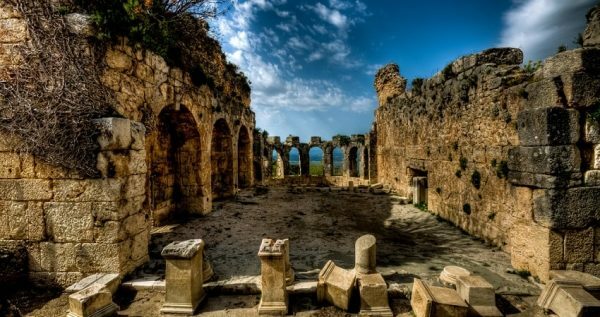 In its time this ancient city was an impressive establishment and one of the most prominent religious cities of Lycia. Apart from its recorded and archeologically proven significance, this city is also an integral part of numerous legends and folklore tales. One of them says that the Greek hero Bellerophon lived there, with his famous horse, Pegasus. 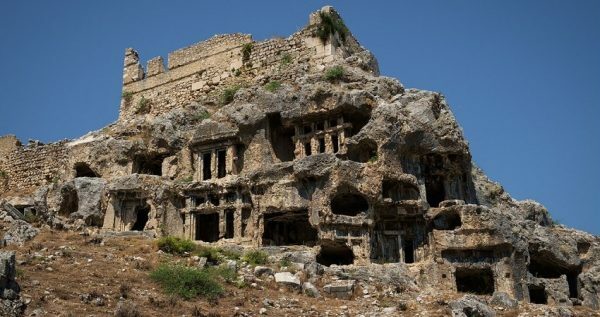 We will also get to see the breath-taking ancient Lycian tombs, which are carved into rocks on the side of the mountain. According to the legend, they were carved there so the angels can reach the dead easily. At the foot of the mountain there is a great Agora and amphitheater, which were built by the Romans, so we will get to see something from that period as well. On the top of the mountain there is also an impressive fortress Of Bloody Ali built during the ancient Ottoman period. We will also visit a trout farm in the Yaka village. 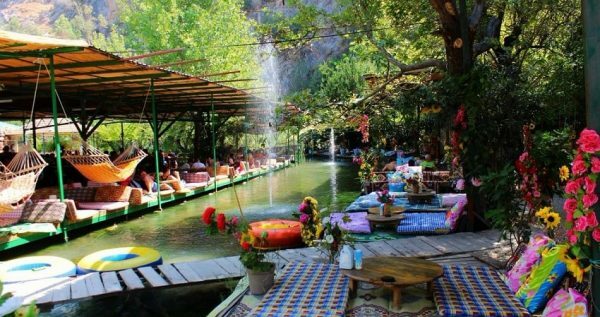 Here, you will get to enjoy a tasty Turkish meal while sitting in a beautiful natural scenery. 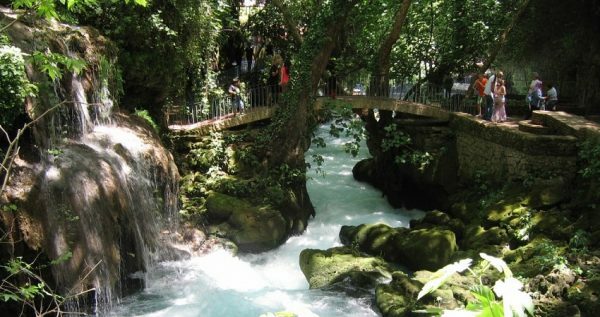 After lunch, we will continue our tour, and visit the famous and stunning Saklikent Gorge. Saklikent means “The Lost City” when translated from Turkish. This gorgeous canyon is a national park, fringed with natural clay, bizarre-looking rocks and ice-cold water. You will get some free time to explore a canyon by yourself, or you can opt to explore with a private guide. 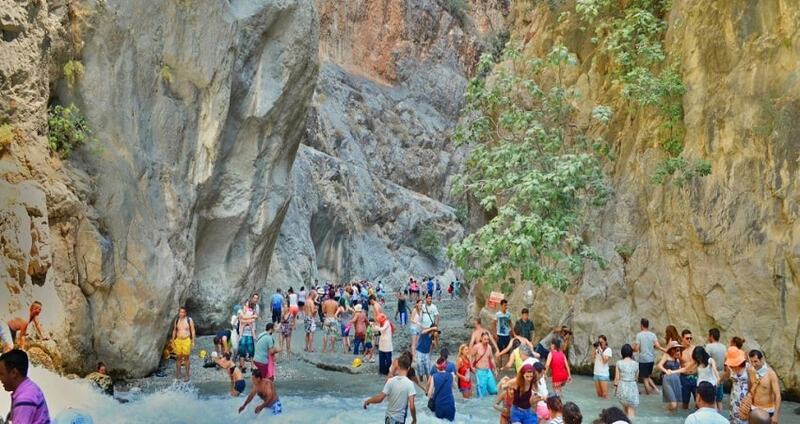 We should mention that the entrance to the Saklikent Gorge is paid extra. Once the tour is over, our driver will pick you up and take you back to your accommodation in Sarigerme. Don’t overthink it, if you want to make your vacation in Sarigerme as memorable as possible book with us today. If you like to visit historical & natural spots, Day Trip To Pamukkale from Sarigerme is an interesting option for you. Sarigerme Saklikent Tour through nature, history and legend, starts with a free ride from your hotel in Sarigerme to winding mountain road of Fethiye. 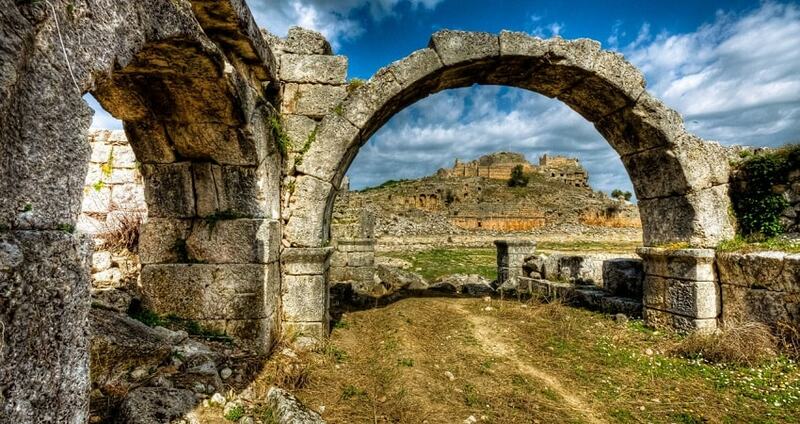 One of our first visits will be a visit to the ancient Lycian city of Tlos. These stunning 4000 years old ruins were once one of the most important religious Lycian cities. One legend says that this settlement on the hill was home to a famous Greek hero, Bellerophon, and his winged horse, Pegasus. We will also get to see the stunning Lycian rock tombs. According to the legend these mysterious tombs were carved into the side of the mountain so that the angels can reach the dead. There are very well-preserved ruins of an ancient Roman Agora, as well as Roman baths and theatre, located at the foot of the mountain. At the top of the mountain you will get to see the impressive fortress of Bloody Ali built during the rain of Ottoman Empire. These visits will be especially satisfying for the history buffs, since they will get to see ruins from three different eras. We will also visit Yaka village and get to its famous trout farm and water gardens. We will have a delicious lunch while enjoying the amazing atmosphere of this hand-made piece of heaven. 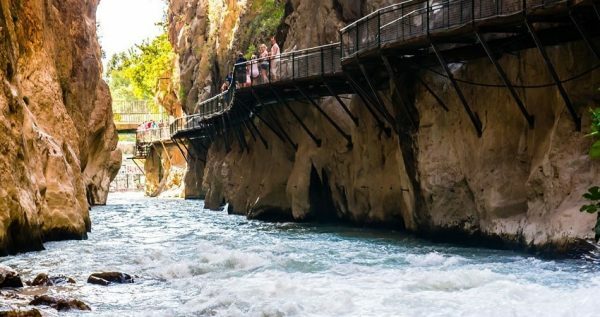 The final point of this tour is the magnificent Saklikent gorge, which is the second longest of its kind in all of Europe. You will get to explore the gorge on your own, or with the company of our English-speaking guide. The gorge is a wonderful place full of surprises, from its rejuvenating clay spots, to its bizarre rock formations. You can also take a dip in the river if you want, but be aware that the water is ice-cold. We should mention that the entrance fee into the Saklikent Gorge is not included in our tour price, so you will have to pay it additionally, once we arrive to the gorge. Once Sarigerme Saklikent Tour is over, the driver will pick you up and take you back to Sarigerme. Hotel transfer services are already included in the price and they won’t be charged additionally.